He’s buff, he’s tuff, and he’s strong enough—to survive everything Greek and Roman mythology could throw at him, and then eons later, to withstand the whirring blades of the pop-cultural blender. The mighty mythical Hercules, the son of a mortal queen mother and the Olympian god Zeus, has been portrayed on TV and in the movies by dozens of actors, including Arnold Schwarzenegger, Kevin Sorbo, Lou Ferrigno and Ryan Gosling (! ), turned into a cartoon by Walt Disney and even made into a Three Stooges sidekick. Later this summer, he’ll return to the big screen in yet another incarnation, MGM’s Hercules, starring Dwayne “The Rock” Johnson. 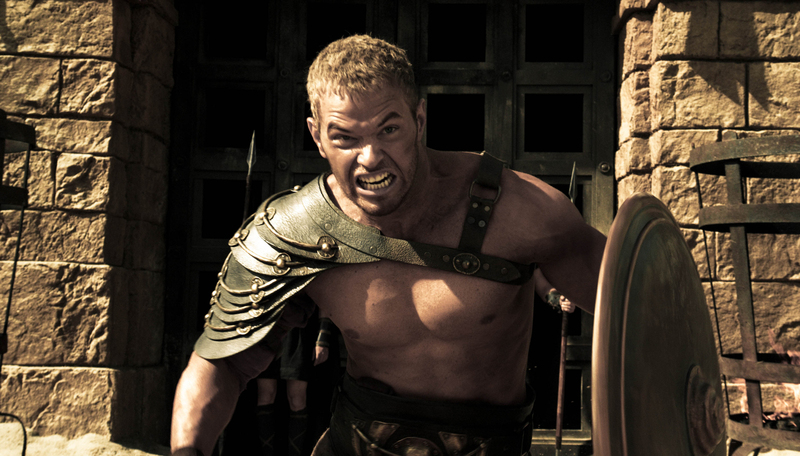 But before that, though, there’s this: The Legend of Hercules, a 3-D action spectacle starring Kellan Lutz as the muscle-bound hunk with part of his DNA from the heavens. Your eyes won’t be the only things straining as you try to follow along with the hollow dialog, hammy acting and hackneyed digital effects that look like videogame graphics. Finnish director Renny Harlin, whose career never quite maintained the adrenaline high of Die Hard 2 and Cliffhanger in the early 1990s, here continues to work the shallows, although he’s still’s got some mojo for making good ol’ mano-a-mano mayhem look stylish, as when Hercules squares off in the gladiatorial arena against one (or more) opponents, or dusts it up with his own stepfather (who never liked him anyway). “Have you come to bring the wrath of Zeus upon me, boy? 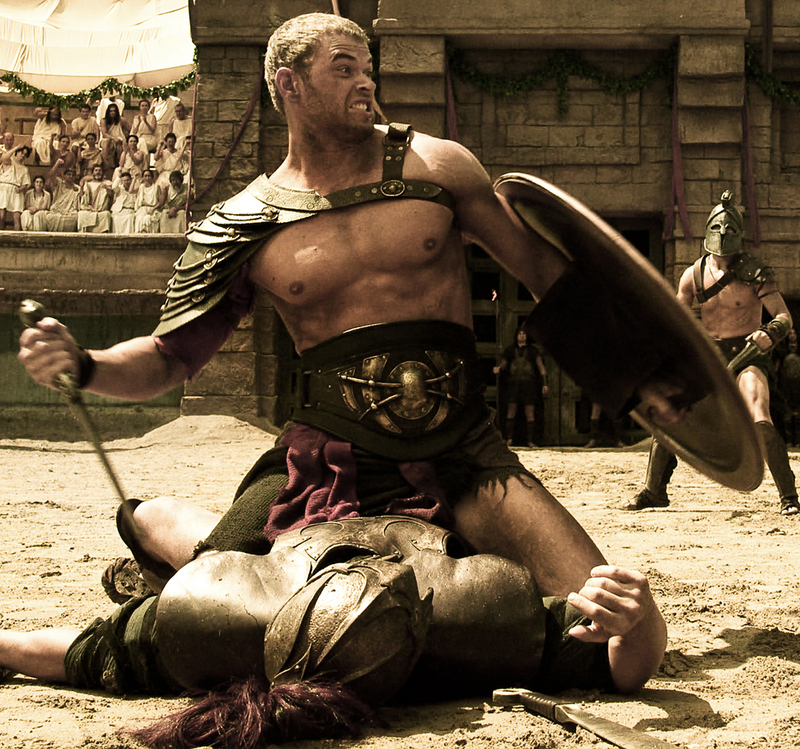 !” bellows the stepfather (Scott Adkins), sounding more like a modern-day brawler than an ancient Aegean warlord king. In other places, too, the movie seems to be confused about its era. Hercules and his princess girlfriend (Gaia Weiss) get lovey-dovey in a gauzy, fabric-draped woodland gazebo that looks like it came from a Bed Bath & Beyond in Athen’s Parthenon Plaza. But even worse, The Legend of Hercules can’t seem to sort out its own hero from every other sword-and-sandal story of the past 2,000 years. It’s a mash-up of Gladiator, Ben-Hur, 300, The Passion of the Christ, the Samson saga from the Old Testament and many other narrative threads that have come before it, without much idea about how to use them to weave anything original. But, through the centuries, the legend of Hercules has survived. It will undoubtedly survive the splat of this big B.C. cheese ball, too.